Take your child to the nearest park and just run! Make it interesting by asking your children to run until they reach a specific tree in the park or ask them to chase you instead. Surround your child with his or her friends and let them play the game of ‘tag’ which guarantees a lot of running and fun. Jumping jacks are fantastic for working your child’s arm and leg muscles. 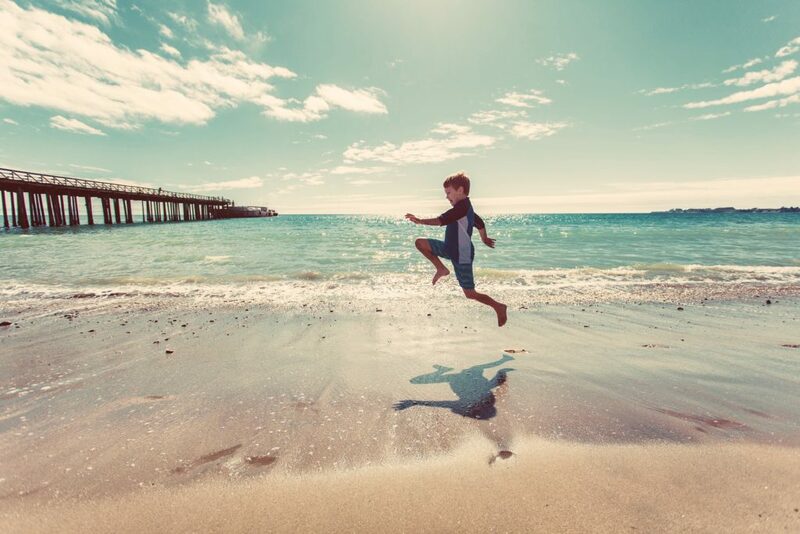 Encourage your child to do some jumping jacks (or even simply jumping is fine!) and applaud them when they achieve a certain milestone. Keep an eye on your kids while they do it though – you want them to do it right to prevent any injury. 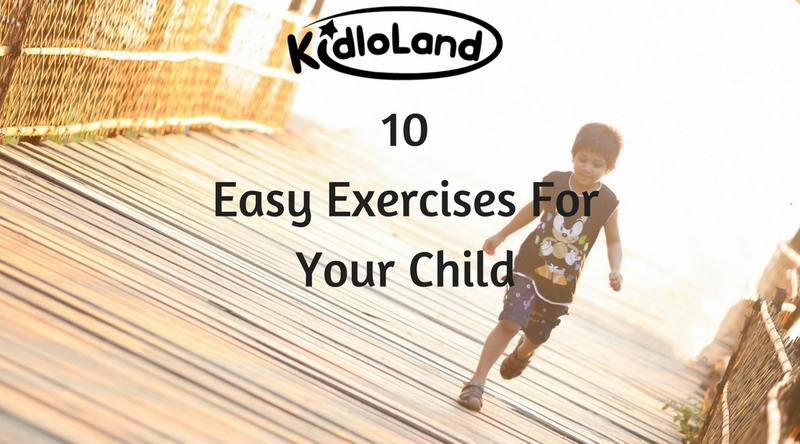 This can be a great way to teach your children as well as get them excited for exercise. Start by asking them questions like ‘How does a frog hop?’ Your kid will then proceed to show you how! Some other simple animal movements that your child can do are ‘bear crawl’, ‘monkey walk’, ‘duck walk’, ‘tiger walk’ etc. Every parent knows how their child reacts when their favorite song comes on the radio. Make use of that very enthusiasm and encourage them to dance! Dancing helps to improve your child’s flexibility, strength, and endurance. You might just find your child’s hidden dancing talent! Skipping exercises with the help of a rope can give your child a complete body workout. It’s simple, fun and it helps to burn calories. The best part is that your kid can do it at home under your supervision. You can also switch it up by inviting your neighborhood kids for a skipping session together. Hopscotch is a famous game played by kids of every generation. Hopping exercises, especially the ones which require hopping on one foot, are a great way to develop balance and hand-eye coordination. Your child will simultaneously think, plan and strategize while playing this game! Simple stretching exercises can be extremely beneficial to your little one. Teach your children to stretch their arms high up and then, stretch them wide. They can also try the butterfly stretch which involves bending the legs to imitate a butterfly’s wings. But don’t forget to warm-up before starting any exercise! Develop your child’s motor skills by creating an obstacle course. 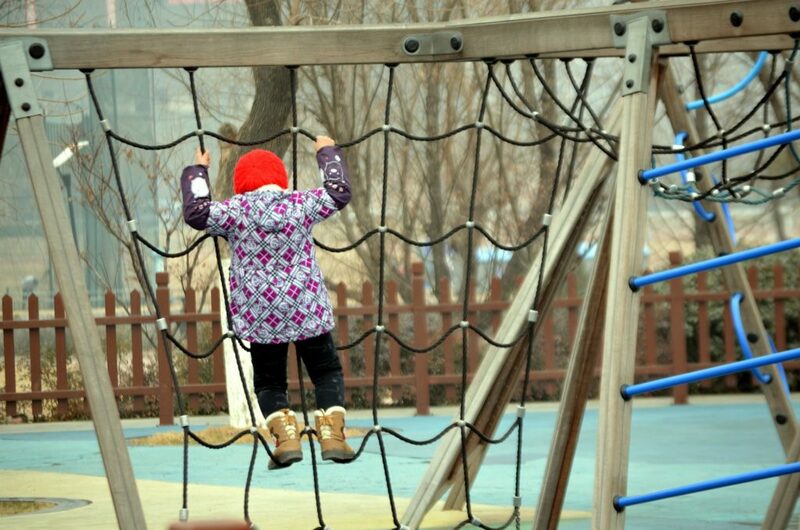 A small and easy obstacle course can include activities like running, climbing, jumping, hanging etc. This will help your toddler’s endurance levels and greatly improve his/her thinking skills. By 15 months, a child can climb stairs on all fours. Gradually, your young one will be able to climb stairs independently. Supervise your children as they go up and down the stairs and improve their motor skills and stamina. Set a fixed area limit and tell your kids to seek you while you hide. It can be both – a fun bonding experience with your child and a good form of exercise, especially for your toddler. Every parent hopes that their child always stays healthy. Make sure you plan a nutritious diet for them and keep their exercise time playful and fun. Your child will definitely look forward to it every day!